The increased pressure to provide patients with affordable, convenient and quality care while adapting to expanding value-based reimbursement programs buoyed investment activity across the health-care industry in 2018. Bloomberg BNA, a wholly owned subsidiary of Bloomberg, is a leading source of legal, tax, regulatory, and business information for professionals. Our network of more than 2,500 reporters, correspondents, and leading practitioners deliver expert analysis, news, practice tools, and guidance – the information that matters most to our customers. Bloomberg BNA’s authoritative coverage spans the full range of practice areas, including tax & accounting, labor & employment, intellectual property, banking & securities, employee benefits, health care, privacy & data security, human resources, and environment, health & safety. 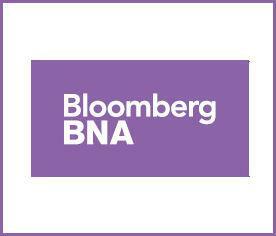 Visit Bloomberg BNA at www.bna.com.